Burke, Wills and I got it wrong. Central Australia is not flat. Nor is it waterless. It is, however, quite warm. I’ve just come back from Alice Springs. I couldn’t help myself – I packed a beanie, down jacket and raincoat, along with my swimming togs and sunscreen. The down jacket did actually come in handy – as a pillow. 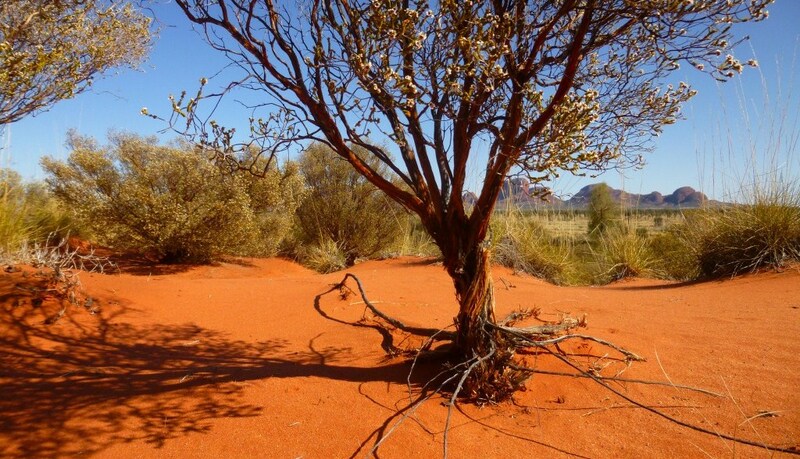 My sister and I travelled out through the Western MacDonald Ranges, and then down to Uluru and Kata Tjuta. There are heaps of mountains. And beautiful waterholes: some for swimming in, others that are left clean for the wildlife and make wonderful places for bird-watching. We went down to the Ellery Creek waterhole one night and the stars were so thick that the sky wasn’t black, but milky. It was silent – the dark reflections of the cliffs lying mat on the water with a white pinnacle of stars between. And then this insane bird swooped out, circled over our heads twice shrieking, and headed off down the river bed, its cries echoing from the rocks. The woman camping next to us also knew it as the shrieking bird, but my birdbook reckons that barn owls have a cry like a cockatoo, so perhaps it was one of those. Long-nosed dragons are notable for their long…tails. And are also known as ‘ta ta lizards’ because they wave goodbye – one of a suite of visual signals they use to communicate. There is water in rock. It just takes a really, really long time to seep out. 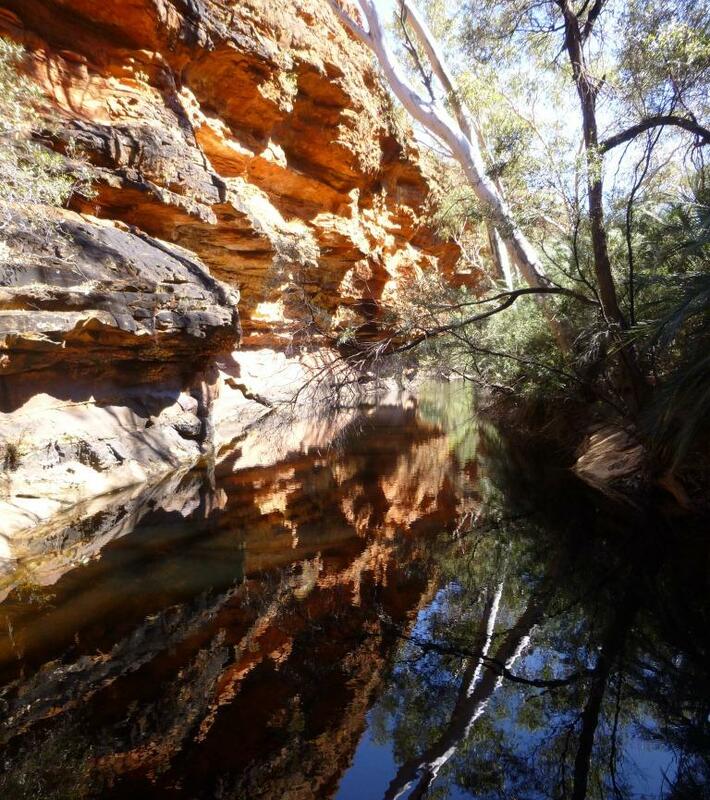 Over thousands of years this ancient rainfall percolates through the sandstone and fills the waterholes. Thus there will always be water, whether or not it rains. The flow is faster at full moon. Bush tomatoes taste really disgusting when unripe. 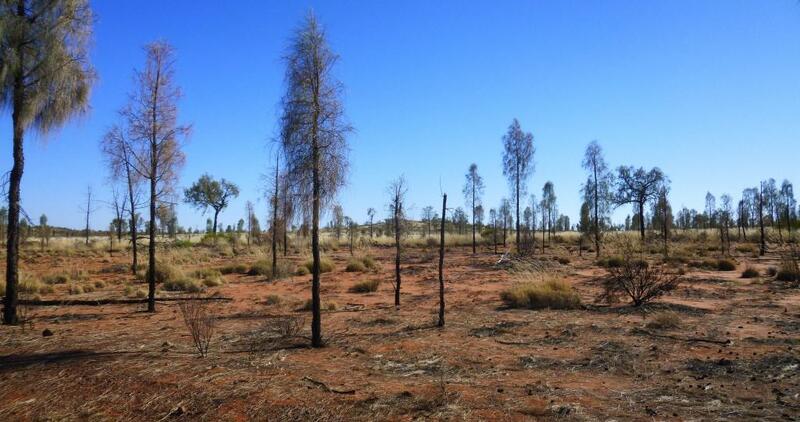 Fire-stick farming and mosaic burning make a lot more sense in spinifex country than in the tall forests of south-eastern Australia. No wonder burn-off crews in central Australia don’t wear safety helmets – there’s nothing to fall on your head. Thorny devils drink using their hands, using capillary action to carry water along their arms to their mouth. Then it was a 450km drive back to Alice Springs. For the last hour we sat behind a roadtrain, too scaredy-cat to overtake as it swayed from one white line to the other at 115k an hour. 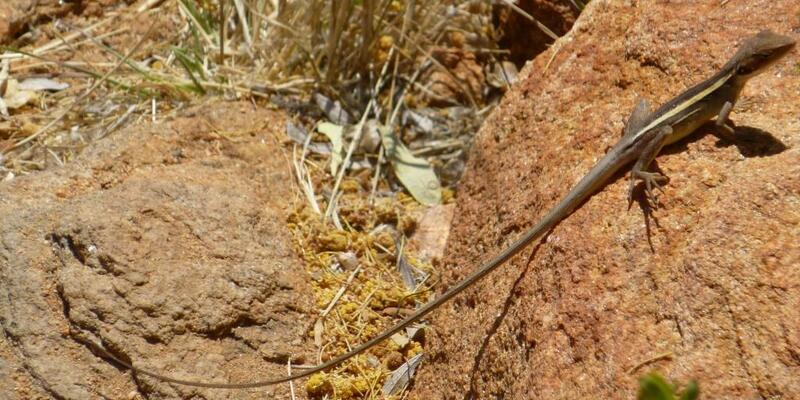 The ecological conference I attended in Alice Springs afterwards was filled with fascinating ideas. The take home message for me though (other than watch out for crocodiles while surveying rivers in the Kimberley! 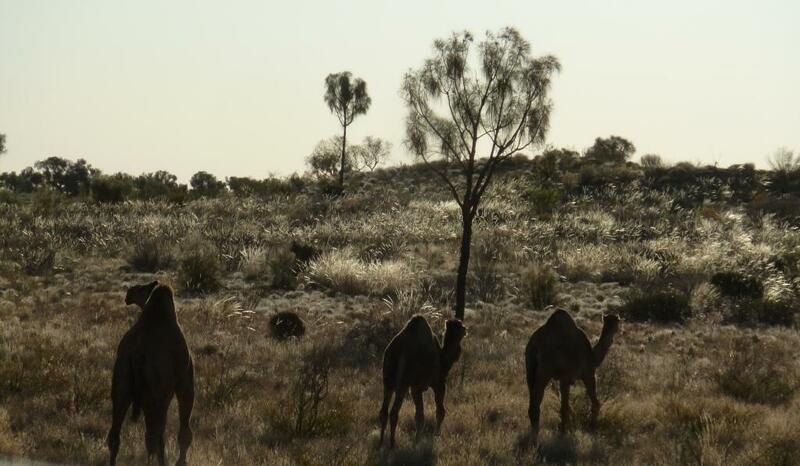 ), was that we need to start thinking of people as an integral part of ecosystems, whether we’re managing spinfex grasslands in central Australia or urban parklands. Human activity inevitably influences nutrient flows, soil structure, predation pressure, fire regimes and, of course, the introduction of new species. I’m not sure what the European explorers thought about ecosystem dynamics, but they did get one thing right. Australia does have an inland sea. 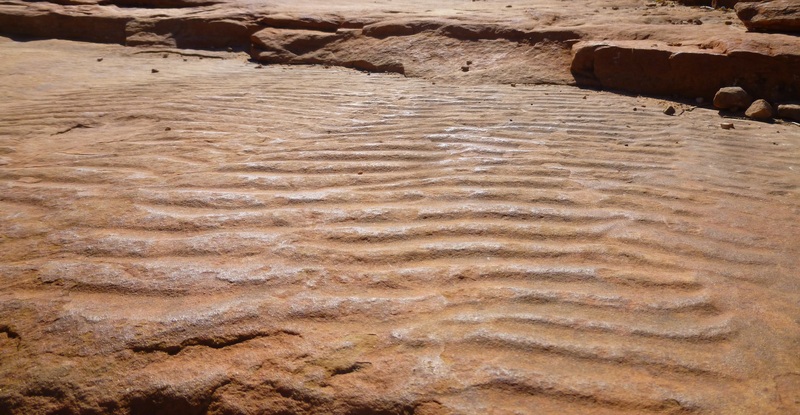 You can see it in the rippled rocks, laid down in a current on the ocean floor. It’s just that it dried out hundreds of millions of years ago. indeed we do need to consider our actions; even in the seemingly wildest of places. Lovely piece.